Disclosure: I was compensated for this post. I received a sample of the product for review purposes. The opinions are my own, based on my personal experience with the product. Lately I’ve been shopping more in the natural food section of our grocery store and am discovering products that are completely new to me. Since August, I’ve decided to really get serious about losing my last 10 lbs. I’ve got 5 lbs to lose and I’m there! I would consider it more of a lifestyle change though. I’m eating more fruits and vegetables and less overly processed foods. One product that caught my eye at Sobey’s in the natural food section was Almond Fresh. 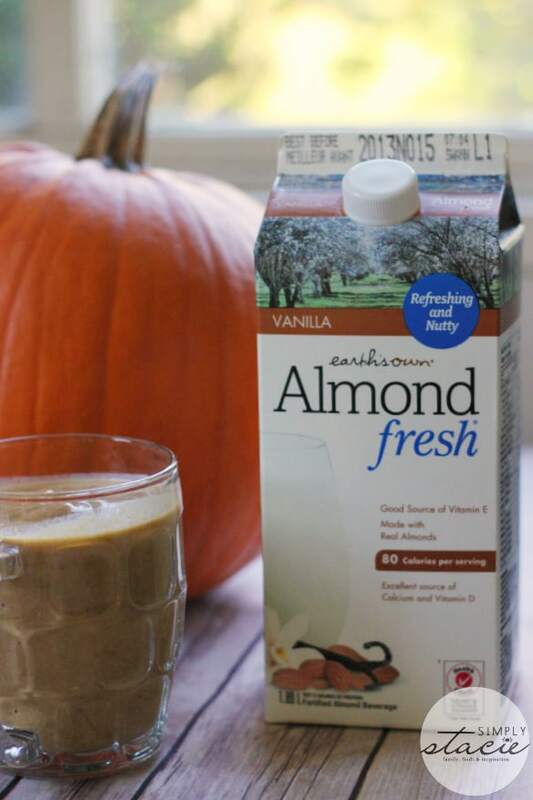 I’ve tried almond milk in the past, but had never tried Almond Fresh. I guess I must have been living under a rock because how did I not know this product was there! You’ll find it in the refrigerated section of your grocery store as it’s the first refrigerated all-natural Almond beverage in Canada. They had a few different varieties to choose from like Vanilla, Coconut, Original, Unsweetened and Chocolate! I picked up a 1.89L carton of Almond Fresh Vanilla. I figured it would taste great in smoothies! I had a glass of the Almond Fresh Vanilla just on its own to see what the flavour was like. I was surprised just how good it was! It was deliciously cold and sweet and I think it tastes fantastic on its own. Almond Fresh ingredient’s are all natural and certified non-GMO. There’s no preservatives, artificial flavours, colours or additives. Their products are also gluten-free and 100% lactose and dairy free. 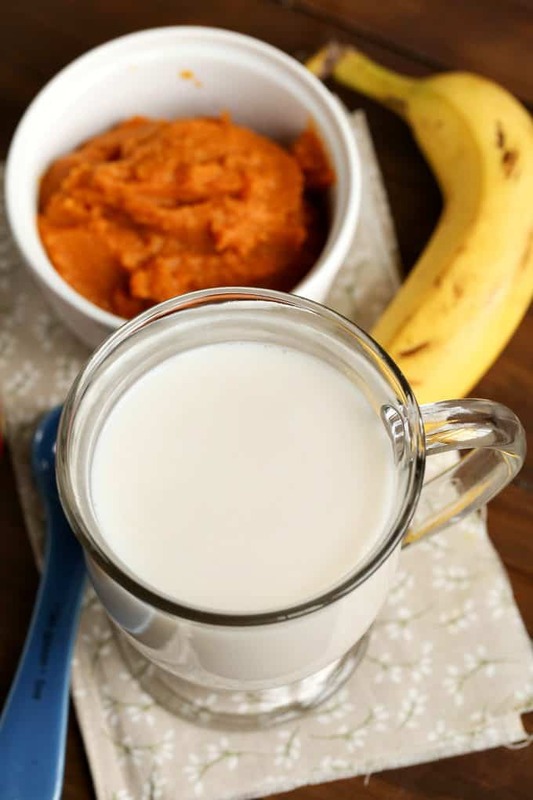 The Almond Fresh website has an amazing selection of recipes for smoothies, breakfasts, dinners, soups/sides and desserts all made using Almond Fresh products. There’s no shortage of ideas on what to make! In fact, I had a hard time figuring out what I wanted to make first because there’s so many that I’m interested in trying. There’s the Almond Fresh Apple-Tini that’s made with apple juice and caramel syrup that sounds decadent! The Almond Fresh Yammy Mashed Potatoes would be a perfect side to serve with your turkey this Thanksgiving. I’ve been craving pumpkin lately after seeing Pinterest & Facebook explode with so many wonderful pumpkin dessert recipes. 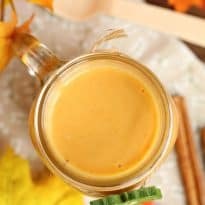 I decided to make my own version of a dessert in a smoothie form that’s still healthy and satisfies my pumpkin obsession! 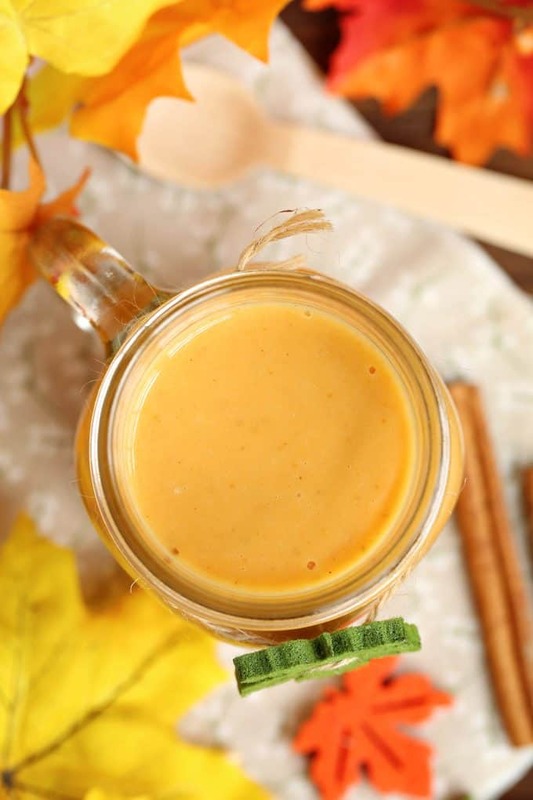 This Pumpkin Pie Smoothie is so delicious and very filling! I use either a banana or an avocado to add in extra creaminess. 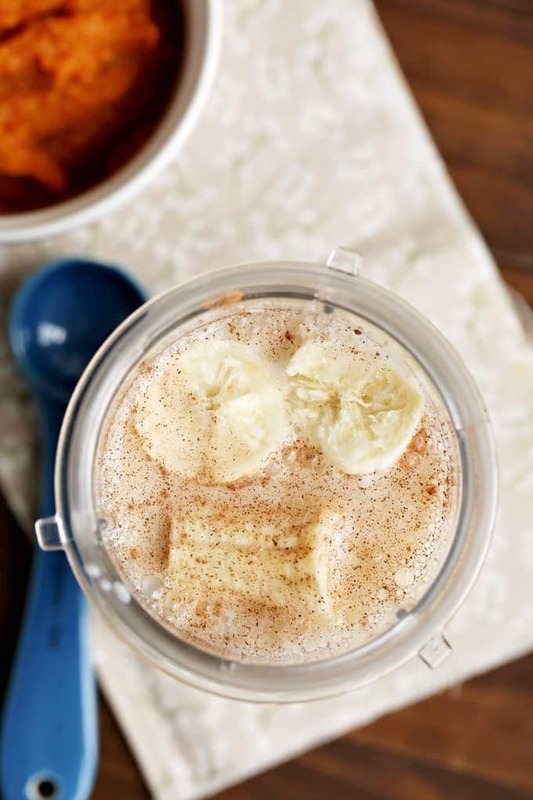 If you prefer a sweeter drink, then use banana and add in the maple syrup. I like my smoothies very thick, but you could make it thinner by adding in a little more of the Almond Fresh. Play around with it and adjust the sweetness and consistency to suit your preferences. It’s a yummy way to start the day! Tastes just like the pie itself! 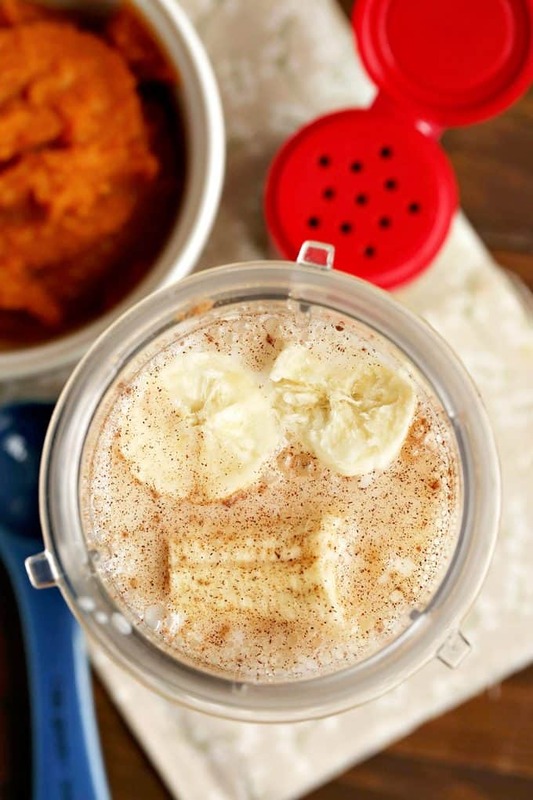 Add ingredients to a blender and blend until desired consistency is reached. Serve cold. I am having another one of these tomorrow. They are delicious! yum! 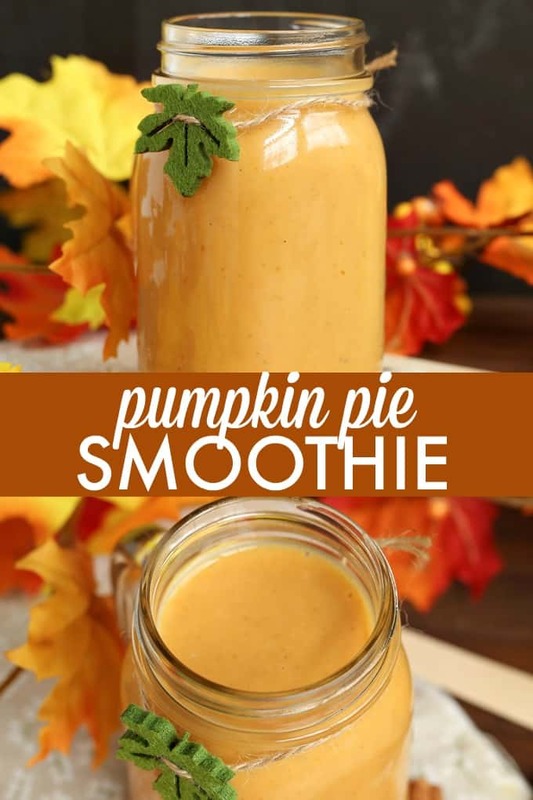 what a great alternative for pumpkin pie! This looks delicious! What I love the most is that it isn’t full of extra toppings to make it a calorie-bomb. Definitely trying it! Sounds like a perfect treat for this time of the year 🙂 Thanks for linking up with Merry Monday! 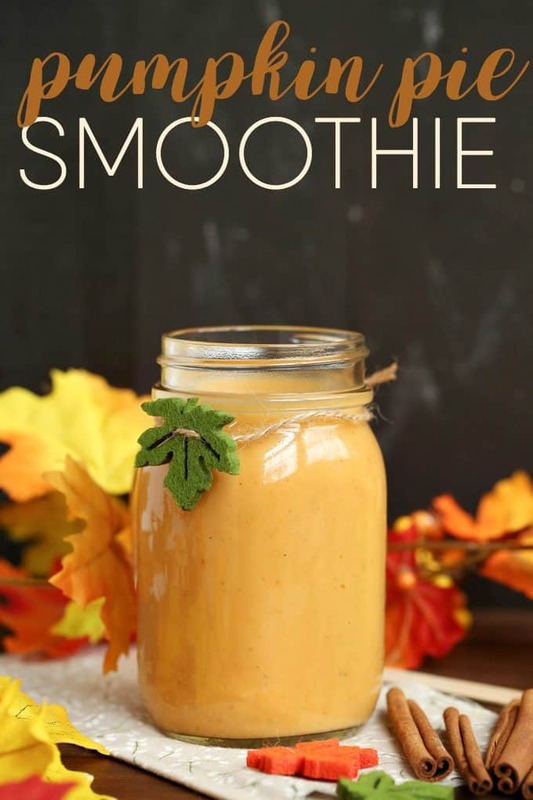 I am going to surprise my Mom with this smoothie,she loves pumpkin!